We are a prominent Flexible Spacer Coupling Manufacturer, Exporter and Supplier based in India. 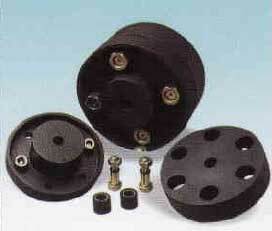 The Spacer Coupling is manufactured from high grade material, sourced from dependable vendors. Backed by a state-of-art infrastructure coupled with well trained manpower we guarantee repeated accuracy in the production of all the Flexible Spacer Coupling. We offer a durable range of Flexible Spacer Coupling at pocket friendly prices.